The environmental consequences of mining and quarrying are vast, as highlighted in the mining section. 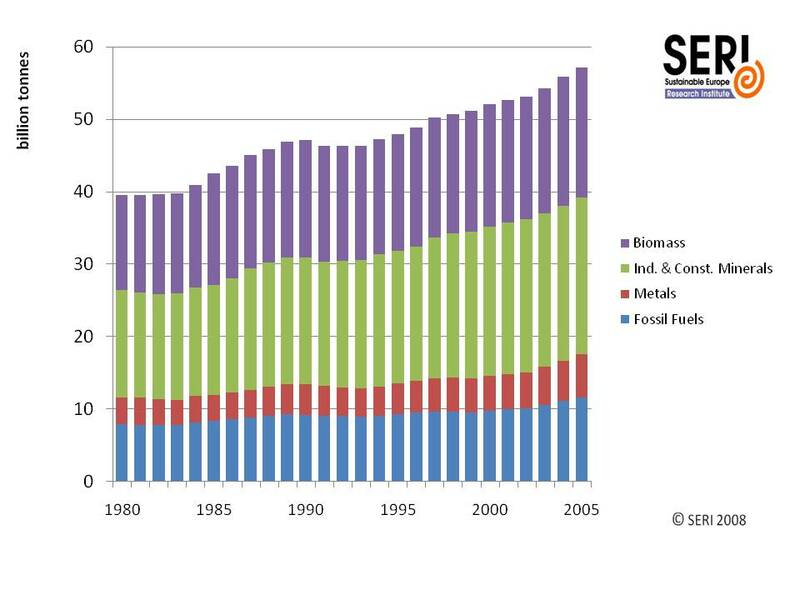 Due to an increase in consumerism, heightened dependence on technology, and an overall world population growth, more and more minerals and metals need to be extracted from the earth's surface as shown in Figure 1. Even though the recycling industry is growing, it cannot meet these growing demands for minerals. Furthermore, with numerous accessible mining sites already exploited, the human race is in a constant struggle to find feasible mining methods. One way to mitigate the environmental consequences of mining and quarrying is through the use of bioleaching microbes. These "rock-munching microbes" such as the Acidithiobacillus and Leptospirillum bacterium, can clean up abandoned mine sites. 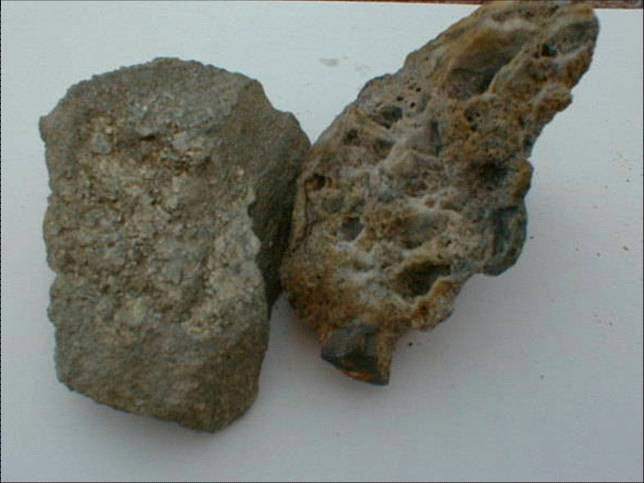 Figure 2: An ore, before (left) and after (right) bioleaching. For example, some bacteria have the capacity to stabilize uranium contaminated sites. If they are used properly, they could reduce the chances of such sites contaminating major waterways and ecosystems. Ores of lower metal concentration can be treated economically; this is not feasible using traditional methods. Difficult refractory concentrates can also be processed. This method is emerging as an increasingly important way to extract valuable minerals when conventional methods such as smelting are too expensive. Concentrates with contaminants like arsenic, bismuth and magnesia are often expensive to treat in conventional metal-production. Mining companies often have to pay penalties for these hard to treat contaminants when they sell the concentrate to smelters. Using bioleaching microbes can help avoid these large penalties by removing arsenic and other hazardous materials from the concentrates in an environmentally stable form. Economic exploitation of smaller deposits, in remote locations, becomes viable because of reduced infrastructural costs. Bio-mining allows for the rapid start-up of the mining site, is easy and reliable with regard to maintenance and infrastructural cost and is not labor intensive making it more profitable. 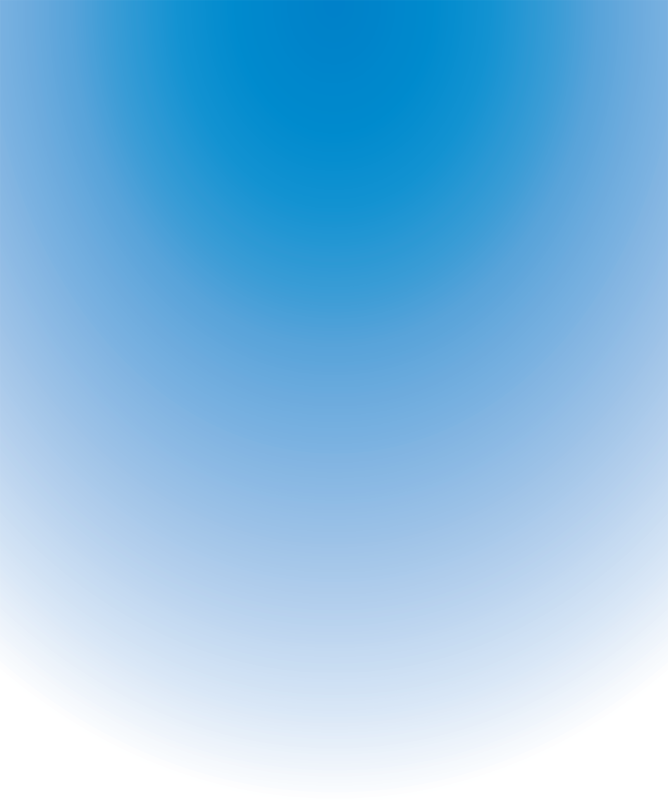 The process takes place at atmospheric pressure and lower temperatures than smelting. Thus, the energy consumption at the mining site is less. Bioleaching currently accounts for an estimated 20 percent of the world's mined copper, and is in use at about 20 mines around the world. An acidic solution containing bacteria is applied and allowed to percolate through the heap, draining into a collecting pool. When bioleaching is complete, 80 to 90 percent of copper has been extracted from the ore. The process can be used on ores that are only 0.5 to one percent copper, too little for conventional refining. The solution is then drained in to an electrolytic cell and copper extracted from it. In addition, studies show that zinc, nickel and cobalt can also largely be extracted by the process of bioleaching (Rawlings, Douglas, and Johnson 2007). PH-regulators, as some microorganisms need highly acidic environments while others need highly alkaline conditions. Methods to cultivate bioleaching microbes for inoculation. To study the feasibility of a potential bioleaching project, we used the BIOX™ project, a process for the treatment of refractory gold concentrates, as an example (D.E. Rawlings). The bio-oxidation section contributes to more than 50 percent of the total BIOX™ plant equipment cost. 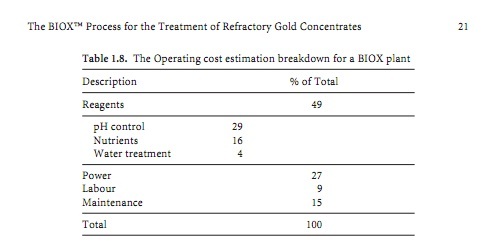 The BIOX™ reactors and agitator are the brunt of this cost. The reactor cost depends mainly on the retention time required and material of construction. For example, duplex stainless steel grades may be required in processes where the chloride levels exceed 500mg/L because of the increased resistance to corrosion. 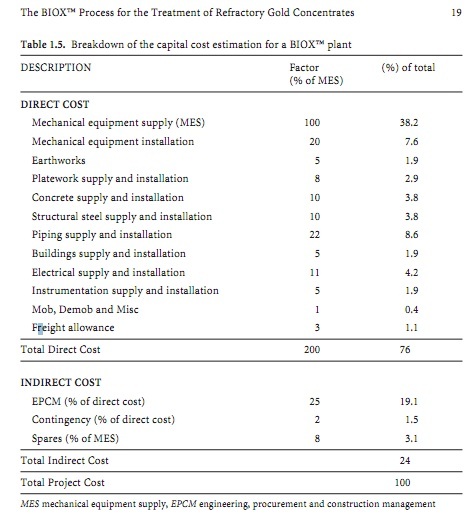 The breakdown of the capital cost estimation for a BIOX™ plant is given in Figure 3. The cost analysis is presented both to demonstrate the feasibility of this aspect of our proposal and to encourage the private industry to invest in modern bioleaching methods by highlighting its economic feasibility. Generally, the capital cost of a bioleaching operation is approximately 50 percent less than that of conventional smelting operation. This is mainly due to lack of infrastructural costs. The operating costs based on current technology for leaching dumps and ores are between 0.18 USD and 0.22 USD per pound of copper. These are competitive with the unit costs of smelting (Table 2). However, the costs vary with the grade of the material being leached. This is illustrated in Table 5. 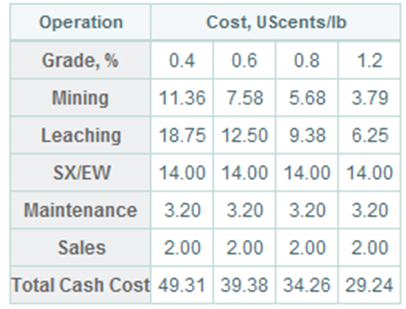 Table 5: Estimated Heap Leaching Direct Production Costs as a Function of Ore Grade. The study also compares the operational costs of and capital required for conventional and bio-mining sites (as in year 2000) as shown in Table 6. 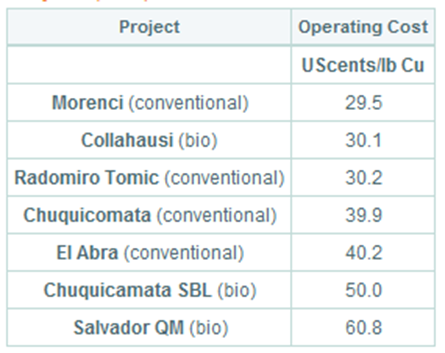 Table 6: Operating cost of various bio-mining and conventional copper. Even though the operational costs of bio-mining are a little higher than the cost of traditional mining, more copper can be extracted using bio-mining as the process can be used for more varieties of rock. On average about 60 to 65 percent of the copper from a mine can be extracted using conventional methods whereas 90 to 95 percent can be extracted using bioleaching. Experiments have shown that two fungal strains (Aspergillus niger, Penicillium simplicissimum) were able to mobilize copper and tin by 65 percent, and aluminum, nickel, lead, and zinc by more than 95 percent (H. Brandl). 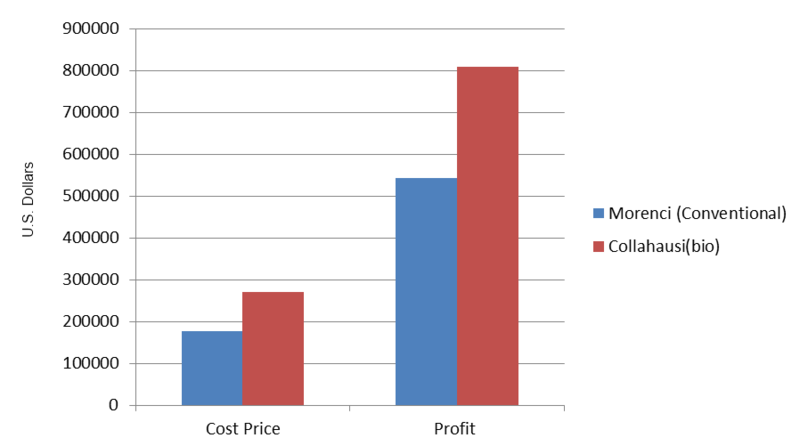 Figure 7: Comparison of the cost price (operating cost) versus the profits between conventional and biomining. Through using bioleaching, the cost of the project is greater but the returns are greater as well. Some question the use of bioleaching by claiming that it is a time consuming process. However a study by Mujeeb-ur-Rehman shows that 75 percent of the copper in the ore studied was leached in 144 hours. Leaching can be carried out in two stages that permit separate enhancement during each stage. The biological oxidation stage is fast and effective. In a one stage process, bacteria are broken down by the abrasion of solid particles on microorganisms. The breaking down of bacteria extends the time required to complete the process. This time delay can be avoided by a two-step process that isolates the abrasive particles from the bacteria in between steps. Furthermore, in the second stage, the chemical attack of the ferric iron to sulfide ore can be performed at higher temperatures to enhance the recovery rate and shorten processing time. Though there are environmental and economic advantages listed above, further incentives to encourage private companies to adopt methods of bio-leaching could be implemented in the form of tax exemptions or other funding incentives. Companies that focus mainly on bioleaching methods could also partner with national and local governments, and non-governmental organizations, to fund portions of the mining projects. Implementation could also be ensured by enforcing stricter regulation by governments on companies that encourage the adoption of sustainable methods like bioleaching. The private mining sector must be made well aware about the feasibility of adopting this method versus the traditional method. See National Implementation. H. Brandl, R. Bosshard, M. Wegmann. "Computer-munching microbes: metal leaching from electronic scrap by bacteria and fungi." Elsevier - (2000): 323. Print.